We can only create change in the world if we start with our own individual healing. For a sunny and autumnal week in October 2016 Advaya Initiative held a magical Vinyasa Krama Yoga & Sound Healing Retreat taught by Christabel Reed and Archie Brun. Set in the beautiful surroundings of Carthew Farm in Cornwall, the retreat worked to provide you with the space and support to unwind, de-stress and begin or evolve a yoga practice. Every day started and ended with a nurturing and uplifting yoga practice, which involved asana (postures), pranayama (breath work), chanting and meditation. The evening practice ended with a healing sound journey from Archie. Using the gong, didgeridoo and more, the soundscapes allow you to enter deep states of relaxation, enabling the release of stress and negative emotions. For those who felt drawn to work more closely with sound healing or a specific instrument, one-to-one sessions were offered throughout the week, and Archie also offered one-to-one bodywork sessions. These full body massages combined Ayurvedic Yoga Massage, Chinese meridian massage and Reiki to release both physical and emotional tension, and perfectly complimented our yoga practice, allowing us to sink more deeply into poses, ease tight muscles and relax. Bountiful vegan meals with fresh vegetables and wholesome grains were cooked and prepared each day to ensure we made the most of our healing time and had lots of energy to seize every moment of the day. 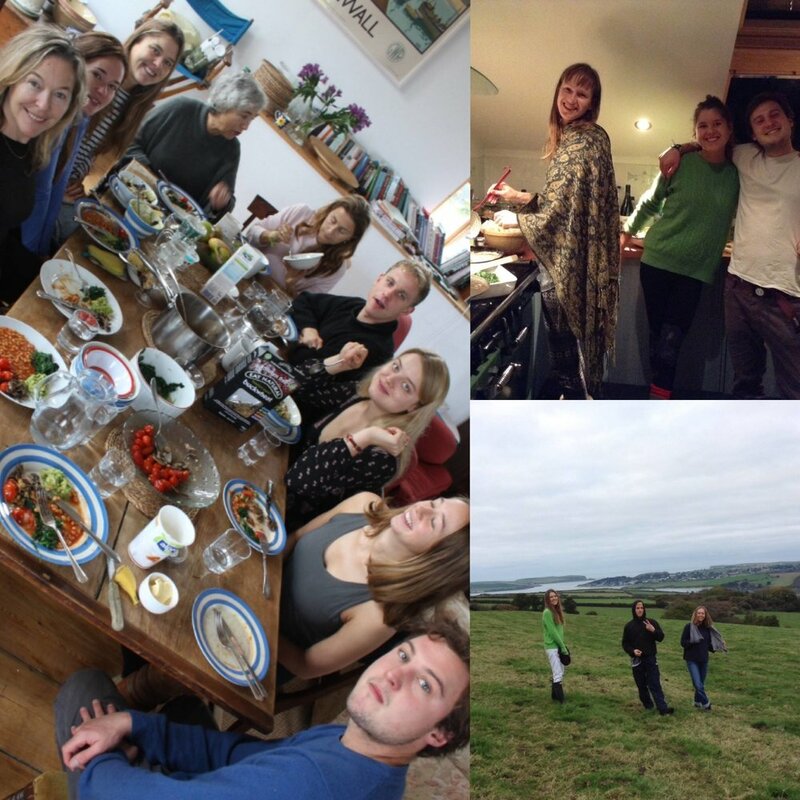 In between yoga, sound healing and 1-2-1s, we had the opportunity to relax in the beautiful converted barns, go on walks in the surrounding, magical forests, or drive to the stunning beaches and moors. Some of us went cold water swimming every day, using simple meditation techniques to help us to withstand the cold temperatures to feel refreshed and revived. The small group of 15 felt intimate and warm, and many new friends were made during the week.